You can find Starbucks on just about any street corner around the world these days, but there’s only one original Starbucks store — and it’s right here in Seattle. 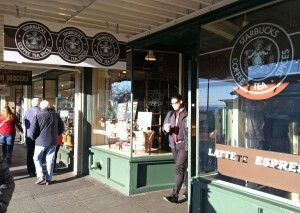 Built in 1971 across from the iconic Pike Place Market, the original Starbucks store (1912 Pike Pl.) looks much like it did when it opened. There have been some changes to the inside of the building, but the hardwood floor, counters, and lighting are all original. Since Pike Place Market is a historic district in Seattle, there are building design guidelines in the area. That means the outside of the original Starbucks store looks just like it did when it opened for business more than 40 years ago. 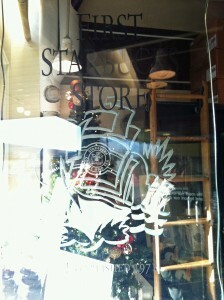 They even use the original Starbucks logo and everything. Aside from the look, location, and design, the original Starbucks store operates like every other Starbucks around the globe. 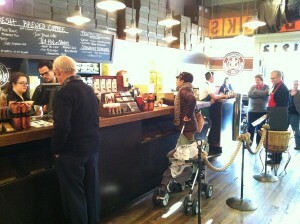 They make fresh-roasted whole bean coffee, brew specialty drinks, and sell Starbucks goods (mugs, cups, etc.). They’re the first, but they honestly don’t do anything unique compared to other Starbucks locations. 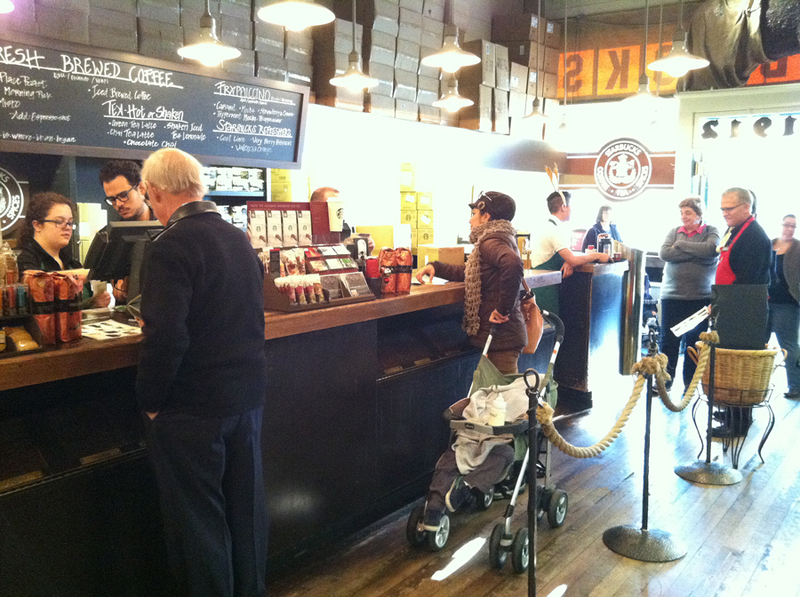 The only thing you won’t find at the original Starbucks (that you usually see at other spots) are tables and chairs. That’s because there’s no room for furniture. They shuffle so many people through the doors there every single year. I’ve lived in Seattle for a long time, but because of the crowds, I’ve only been to the original Starbucks store once (that I can remember). The line to get in is usually flowing out the door, especially during the summer when tourism is at its peak in Seattle. 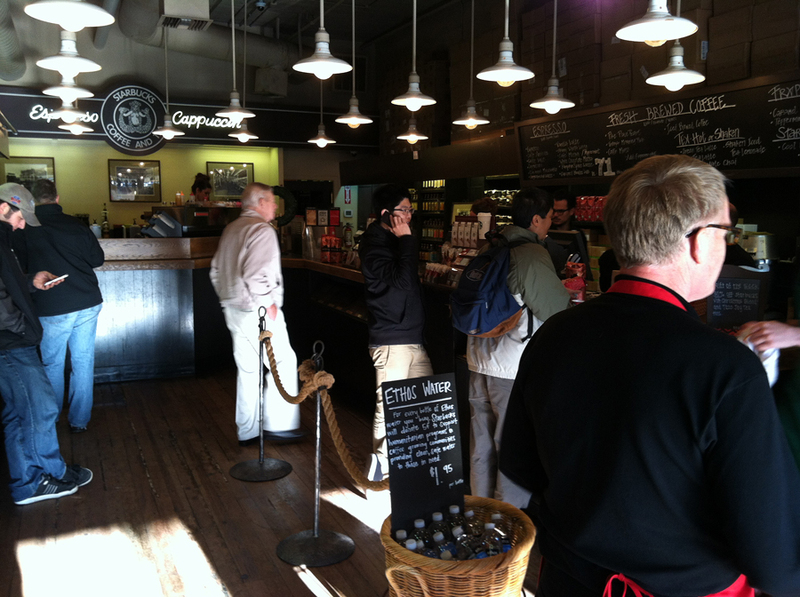 I can see why there’s such a draw to the original Starbucks store. I mean, I’ve even been lured in before. Starbucks is one of the biggest companies to ever come out of Seattle. Before it expanded around the planet and became a billion dollar business, there was the original Starbucks store. It takes us back to when the global giant was just a single, humble storefront at Pike Place Market. That’s pretty cool if you ask me (and the thousands of other people who stop by every year). 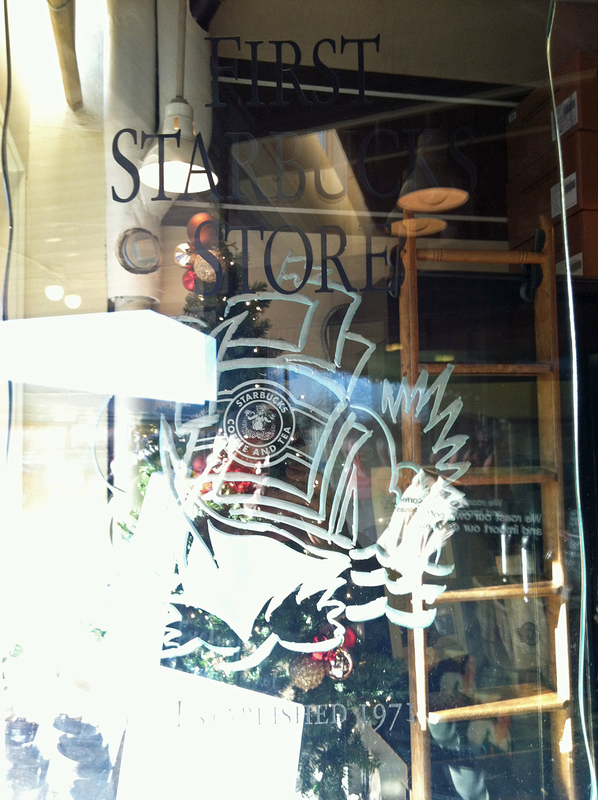 Have you ever visited the original Starbucks store? How was your experience? We’d love to hear from you! Please leave a comment below or connect with us on Twitter, Facebook, and Google+. 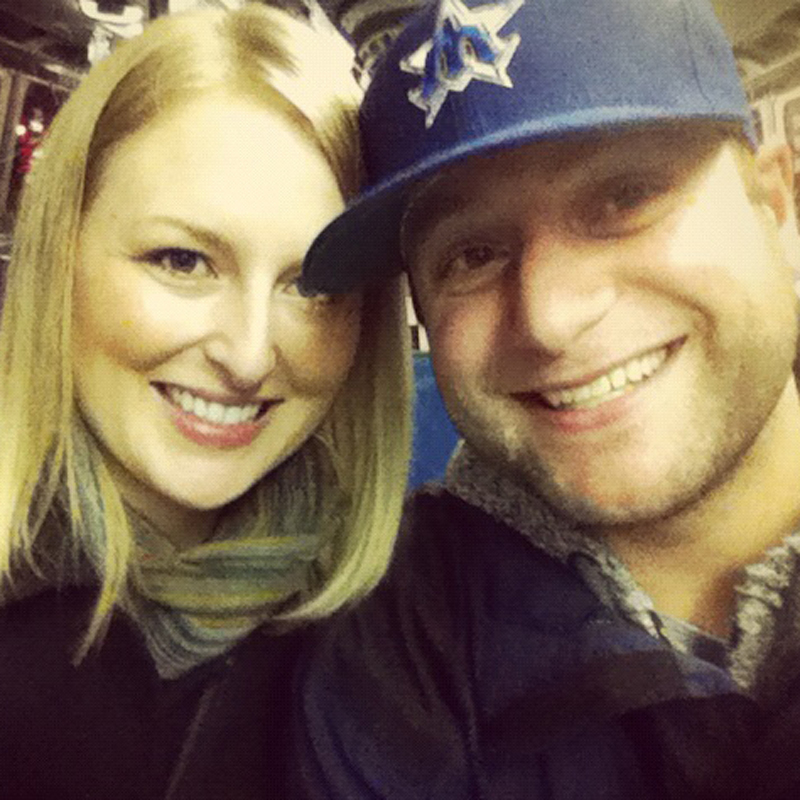 Don’t forget to also check out Seattle Bloggers for more cool attractions in Seattle.